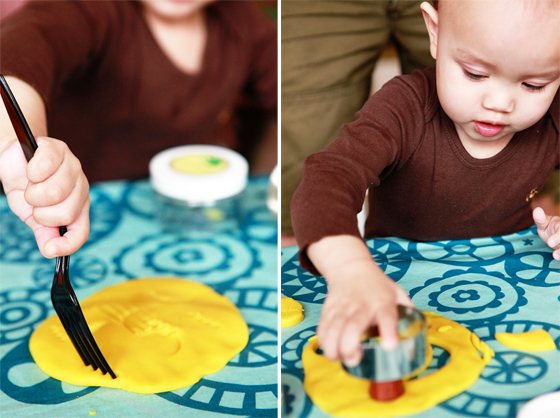 This was Avery's second experience with play dough (but first time using Eco-Kids Eco-Dough). She was super excited about the texture of it and squishing it with her fingers. She liked rolling it out into a big flat piece (but needed a little help with that), sticking a fork into it and cutting out circles and hearts with cookie cutters.